Olumide Ariyibi is a result –oriented, self-motivated and resourceful business manager with proven ability to assemble, motivate and direct any team to bring about superior business performance.His ability to identify crucial success factor of any market segment and broad based hands-on knowledge in business restructuring, product design, strategic planning and excellent leadership skills has been the bedrock of his successful career. He started his career with the then Magnum Bank as the head of Operations and served in various management positions as pioneer business manager at Sterling Bank. His career at Sterling grew up-to branch manager level before he disengaged from Sterling bank to pursue the development of his entrepreneurial skill in 2015. 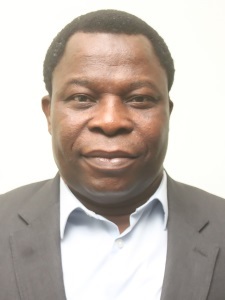 A graduate of banking and finance and an MBA Holder in Business Administration, Olumide has over fifteen years of cumulative experience in the banking Industry and currently serves as the Managing Director of Mutual Microfinance Bank. Mr. Ariyibi is happily married with three kids.